Add extra sparkle with these aqua and sapphire earrings. 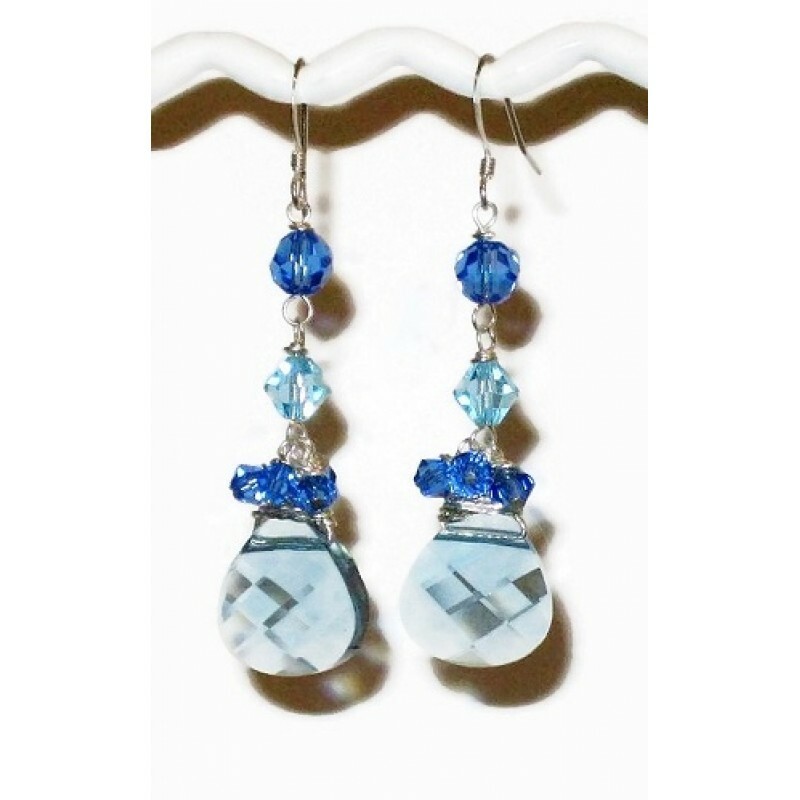 They feature a briolette Swarovski crystal bead that is wrapped in non-tarnish silver-plated wire that is complemented with bicone and round-shaped Swarovski crystals. They measure approximately 2 1/4 inches.